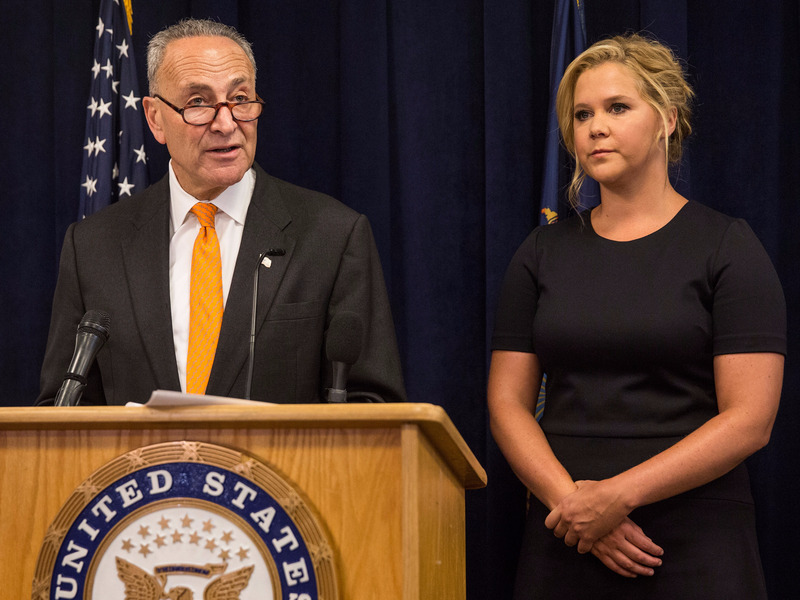 Getty ImagesAmy Schumer speaking out against gun violence with her cousin, Senator Chuck Schumer. After the tragic shooting in Orlando, Florida that left 49 people dead, Amy Schumer will be tweaking her new movie. Schumer is currently shooting her still-untitled comedy, co-starring Goldie Hawn, in Hawaii. According to E!, Schumer has decided to cut “at least one scene” from the movie that “shows someone shooting a gun at people,” in direct response to the Orlando shooting. Schumer has risen to international prominence in the past year. The comedian has used her new platform to become an outspoken gun control advocate. In July 2015, two people were killed when a gunman opened fire during a showing of her movie “Trainwreck.” Afterward, she has teamed up with her cousin, Senator Chuck Schumer, on several occasions to speak out against gun violence. In October 2015, she hosted “Saturday Night Live” and starred in a sketch lampooning America’s obsession with guns that earned a lot of praise. Schumer’s new movie will be released on May 12, 2017. We have reached out to Schumer’s publicist for comment and will update this post when we hear back.